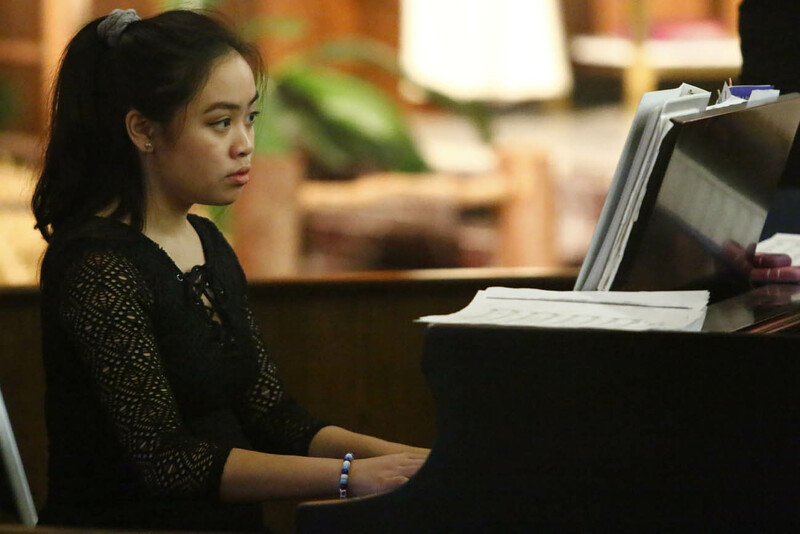 For Angela Alquiros, 16, and a junior at Archbishop John Carroll High School, the three highest priorities in life are God, family and music, both vocal and instrumental. Academics are also part of the equation because she is attending Carroll on a full scholarship and was recently inducted into the National Honor Society. Angela is the eldest of the four children of Caesar and Anna Alquiros, followed by the equally alliterate Adriel, Anthony and Alyssa. Her parents, who are originally from Manila in the Philippine Islands, are computer programmers and active in Epiphany of Our Lord Parish, Plymouth Meeting, as well as through Couples for Christ (CFC) in the local Filipino community. Angela is an active member of CFC youth program. Angela’s interest in music began at an early age and blossomed in second grade when Epiphany’s music director, Connie Steuer, took her under her wing. She helped Angela develop her talents through the elementary grades at Epiphany’s then-parish school and later at Holy Rosary Regional School (based at Epiphany), and on into her high school years. 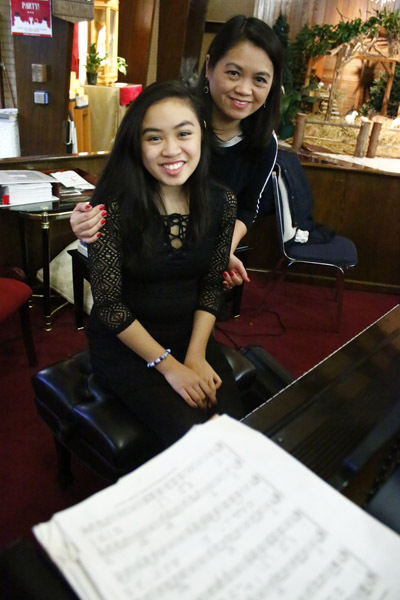 Angela has become an accomplished pianist, choir member and soloist. She has cantored for her parish and one of her most exciting moments was participation in the archdiocesan choir when Pope Francis visited Philadelphia for the World Meeting of Families in 2015. As to which she prefers, singing or playing an instrument, “it’s kind of a balancing act,” she said, explaining she enjoys playing the piano at church, and mostly singing in other places. In whatever she does, both her parents are totally supportive. “She’s a very loving girl, and I’m proud of all she has accomplished,” Anna Alquiros said. “She is also artistic, with drawing, painting and calligraphy. She’s done a lot at a very young age and we always support her and inspire her to serve. This is amazing. What a gal.